A report of the innovative professional development initiative designed and co-ordinated by the Barnet Early Years Alliance (BEYA) and Persona Doll Training. 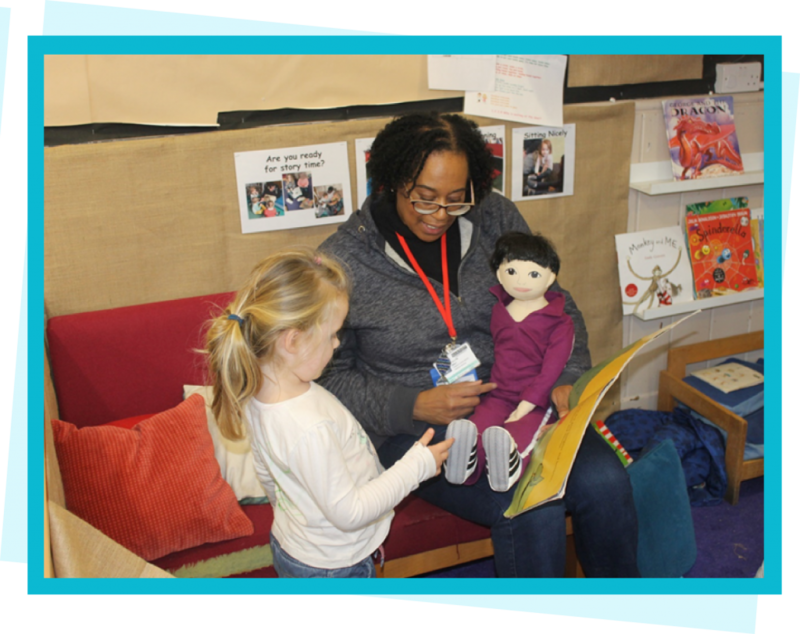 The Barnet Early Years Alliance ( BEYA) and the Persona Doll storytelling approach complement one another. Equality, inclusion and social justice are embedded in the thinking and practice of both. At BEYA, we realised the power of the Dolls in promoting inclusion and equality and in 2015 we began talking with Persona Doll Training about devising a joint project. As a teaching school we wanted to use the project as part of the training and to support other local settings in raising the quality of their provision on these important issues. The Persona Doll approach is now an integral part of the three BEYA nursery schools’ curriculum and the teaching school. Working with the Dolls is not an extra, but part and parcel of what practitioners are required to do i.e. implementing the EYFS, be inclusive and promote ‘British’ Values. Our project ‘Learning to Make a Difference Together’ was successful largely due to the ease with which we were able to plan, co-ordinate and develop the networking between the settings, after the initial training. Children identify with the Dolls and are then able to relate their own experiences to the experiences of the Doll. They are able to talk about any feelings that may be difficult for them to talk about, such as being angry. The Dolls offer an effective tool and a child-friendly way to introduce topics often considered too difficult for young children to cope with. Research and experience suggest that their social emotional learning is enhanced.